A Remembrance Day service and the annual Oyster Festival will both occur in Ettalong on November 11. 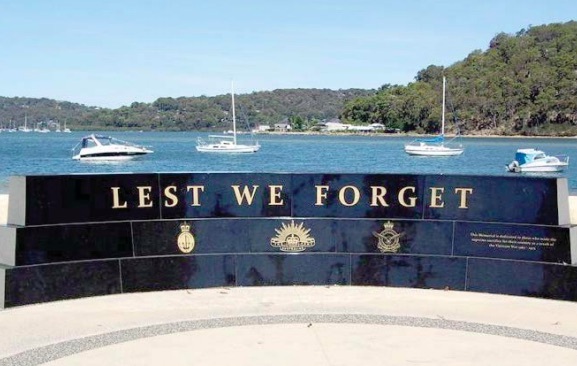 The Peninsula Chamber of Commerce has agreed to move the Oyster Festival to the Ettalong Tourist Resort to enable the commemoration of the 100th anniversary of the WWI armistice at the Vietnam Veterans’ War Memorial on the waterfront. However, the arrangement has not come without a cost. In the process, the Ettalong Diggers Memorial Club and its CEO, Mr Bill Jackson, resigned from the Peninsula Chamber of Commerce and have withdrawn their sponsorship of the Ettalong Oyster Festival. This year the Vietnam Veterans, Peacekeepers and Peacemakers Association Central Coast Subbranch will run the Remembrance Day service. Sub-branch senior vice president Dr Stephen Karsai said he understood the Oyster Festival had clashed with Remembrance Day on three occasions during the past 10 years but 2018 was special because it was the 100th anniversary of the end of World War I. “We asked if they would move the event to November 18 and they said no, so we had a stalemate,” Dr Karsai said. “I then spoke to the deputy mayor Cr Chris Holstein, who suggested moving the Oyster Festival to the Ettalong Markets,” he said. Dr Karsai said it was usually the Ettalong, Hardys Bay and Woy Woy RSL sub-branch that organised the Remembrance Day service but the Vietnam Veterans had been asked to organise this year’s event. “We have organised for two World War I bi-planes to do circuits and then for an FA18 fly-over and we will have navy and army cadets in attendance,’ he said. Dr Karsai said he would like to thank the Ettalong Diggers Memorial Club chief, Mr Bill Jackson, for supporting the Veterans to ensure the commemoration went ahead as planned. Peninsula Chamber of Commerce president Mr Matthew Wales said it would be business as usual for the Oyster Festival. “The Oyster Festival is going ahead on November 11 but relocated at Ettalong Markets,” Mr Wales said. “The Ettalong Diggers said it would withdraw its sponsorship and use of its carpark and streets if we did not change the date, so my committee unanimously voted to move to the Ettalong Markets,” he said.